Statistics is a relatively complex that most students don’t study until the higher grades. But even if your child is in the elementary grades, knowing the basics of statistics can help him learn more about his world and understand it better. Here’s a simple statistics worksheet to give your child a relevant lesson in the subject. 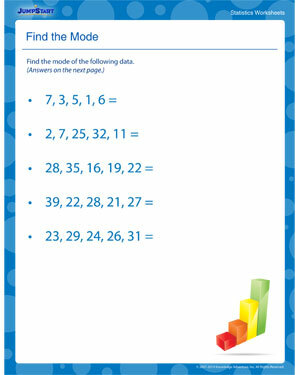 And don’t forget to check out other free statistics worksheets for elementary grades at JumpStart.